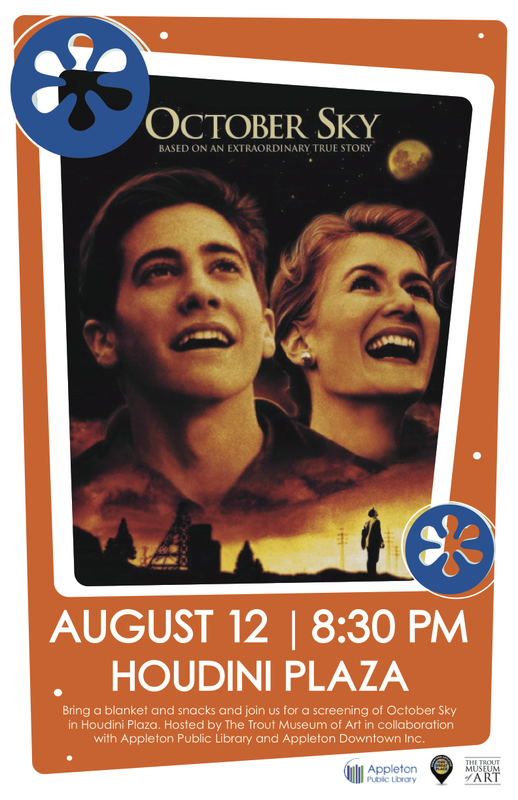 Posted on Jul 8, 2015 by Appleton Downtown Inc. 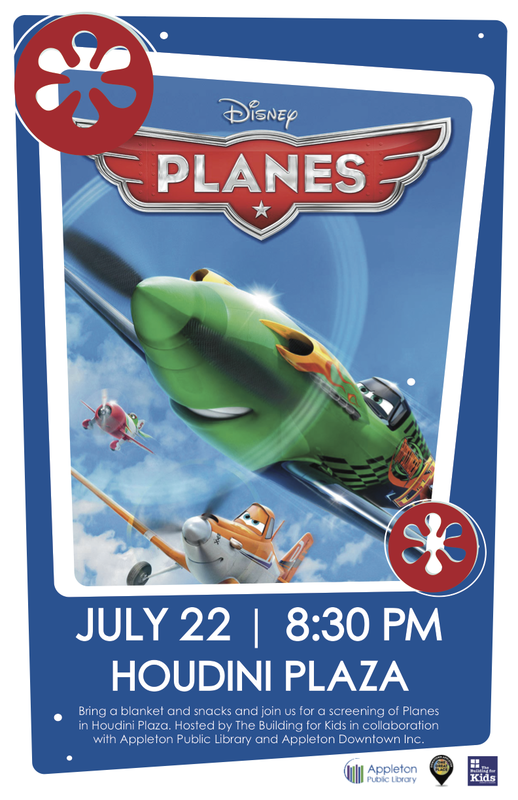 The summer outdoor film series begins July 22nd in Houdini Plaza with the movie Planes. The show starts at 8:30 pm. Appleton Public Library along with the YMCA, Building for Kids, Trout Museum of Art, P.A.C. 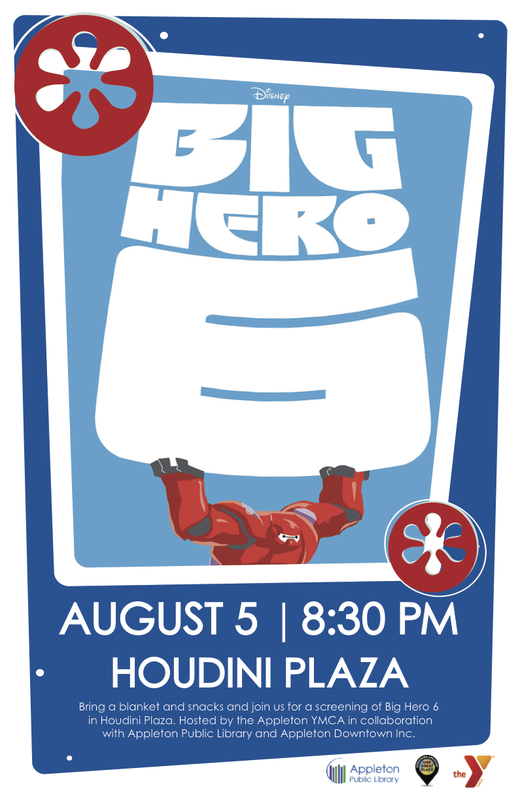 are hosting these great family films in Houdini Plaza. 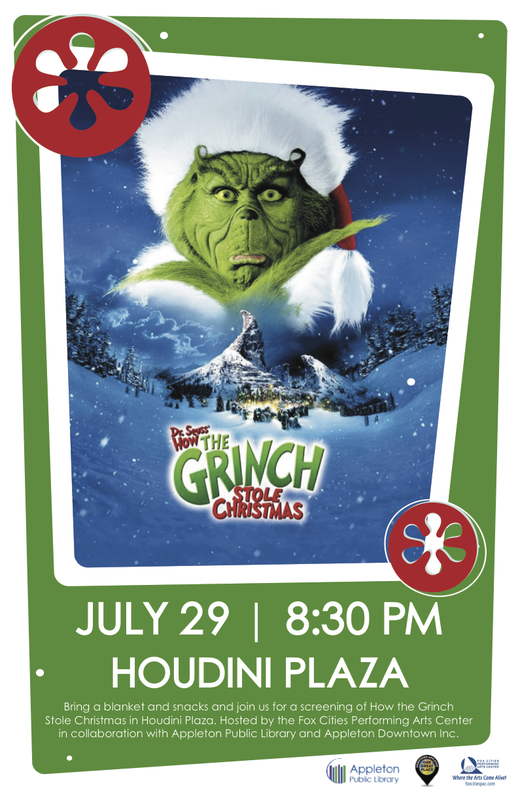 Put these Summer movie family outings on your calendar. All shows start at 8:30 p.m.